Every year, millions of school aged children get head lice. Typically this has been more of a nuisance problem than a serious illness. Lice are considered ectoparasites that live exclusively on the human scalp and feed off of human blood. Head lice are wingless insects that spread by close contact between people such as with sharing headwear, combs, brushes, towels and clothes. Head lice live approximately 28 – 30 days and multiply quickly. Female lice can lay as many as 90 eggs and within 15-20 days mature into adult lice. Itching is the number one symptom of lice infestation and may take up to several weeks before this starts. Head lice do not transmit communicable diseases. It is estimated that as many as 12 million children, most commonly pre and elementary school aged, are treated in the U.S. annually for this disease. Treatment is usually by medication containing the active ingredient, permethrin. Unfortunately, treatment of head lice is becoming a complex issue. A research team from Southern Illinois University collected lice samples from individuals in over 30 states. Of the samples collected, 104 out of 109 lice populations had gene mutations leading to treatment resistence. To date, more than 25 states have reported resistant head lice. It is believed that resistance to standard medications developed just as antibiotic resistance has. The overuse and misuse of permethrin in this case has led to the development of super lice which make them immune to standard treatments. Fortunately, several pharmaceutical companies have developed other products that are effective against head lice. Many of these require a doctor’s prescription. The use of home remedies including olive oil, coconut oil, clove oil, and essential oils such as tea tree have also been reported treatments for head lice. While many of these are considered “natural”, the safety and efficacy is unknown. Keys to treating head lice include using an effective treatment (prescription medication, OTC medication, or natural home remedy), combining the hair carefully to remove nits, vacuuming the home and washing suspected clothing and linens, and daily head checks until infestation is gone. Management of head lice is easier the earlier infestation is identified. Yook KS et al. In Vitro and In Vivo Evaluation of Infestation Deterrents Against Lice. J. Med Entomology. 2015 2015: 52(5):970-978. Where do we stand with preventing Breast Cancer? The month of October is about raising awareness of breast cancer and advocating for early detection. Approximately 1 in 8 women born in the U.S. are at risk for developing this disease. The big question is where do we stand with preventative efforts? 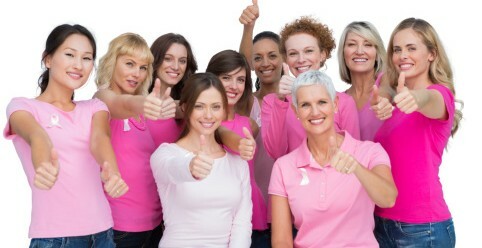 Statistics have shown that the incidence of breast cancer has increased by more than 20 percent worldwide since 2008. We still do not have a cure for breast cancer, but there is strong evidence to suggest that lifestyle and diet may play a large part in the disease process. A study published in the Journal of the American Medical Association (JAMA) in September 2015, found that those women who consumed a Mediterranean diet, which is rich in olive oil, had a significantly decreased risk of breast cancer over those who consumed a low fat diet. This study included more than 4000 women between the ages of 60 and 80 years old. What remains unclear is if the reduction in breast cancer was due to the olive oil alone or if the effect was from the overall diet. In another study, published in the International Journal of Cancer, a link between metabolic syndrome and increased risk of breast cancer was suggested. Metabolic syndrome may include high glucose levels, high triglycerides, high blood pressure, low HDL (“good cholesterol”), and obesity. All of these factors are strongly tied to diet and lifestyle. In the latest reported findings, taken from a study that is currently in progress, heavy doses of chemotherapy are no longer warranted in the early treatment of the most common type of breast cancer. This study includes more than 10000 women who have been previously diagnosed with breast cancer. 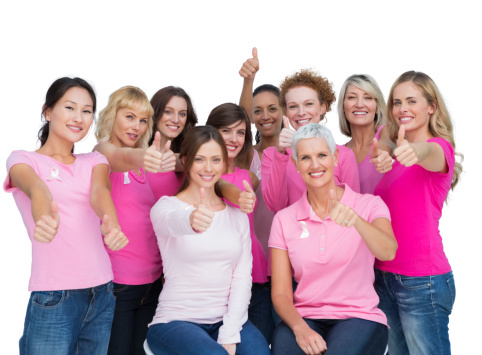 Of those in the low risk group, 99% of survivors had no relapses within 5 years of diagnosis, while 94% were free of any invasive breast cancer. A U.S. company, Genomic Health, claims that their new genomic test can decide whether chemotherapy is warranted for a specific case of breast cancer and whether or not reoccurrence is likely to occur. Toledo E et al. Mediterranean Diet and Invasive Breast Cancer Risk Among Women at High Cardiovascular Risk in the PREDIMED Trial: A Randomized Clinical Trial. JAMA. 2015 Sept 14:1-9.